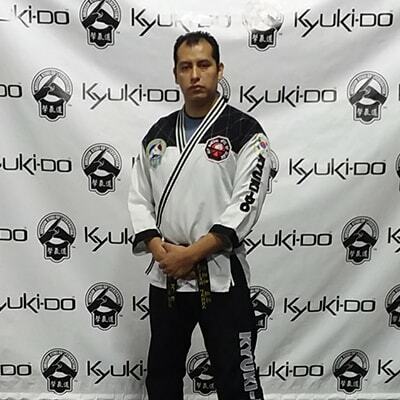 Welcome to AKF Martial Arts of Elgin! Welcome to AKF Martial Arts of Elgin! Our Elgin martial arts school is located on the east side of town, on Raymond St. near Route 20. Our programs are dedicated to helping kids and adults become more confident, focused, and disciplined. Many people believe that martial arts is just about kicking and punching. As a student in our academy you will learn that our martial arts program goes much deeper. Self defense is an important part of our program, but the martial arts is also great tool to improve focus, coordination, confidence, working in a team and much more. This is especially true for children. Our programs are not just for kids. We also offer adult, family, and advanced martial arts classes. Whether you are looking for a great constructive activity for your child, for yourself, or for the entire family, you have come to the right place! Click the “Web Special” button in the main navigation to learn more about our risk free trial offers and get started today! Martial Arts school serving the east side of Elgin and South Elgin, IL. AKF Martial Arts of Elgin Co.
Our trainings include the core elements of Tae Kwon Do, Judo, and Hapkido, as well as techniques from Jiu Jitsu, Karate and Boxing; Kyuki-Do is an effective style for anyone interested in self-defense. 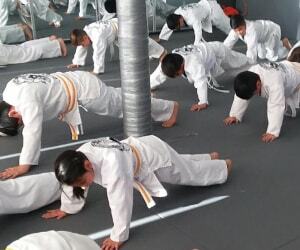 Discipline in the backbone of the martial arts and our programs are developed specifically to help kids and adults of all ages become more disciplined and have a deeper respect for themselves and everyone around them. It is important that kids get out of the house and have a place to disconnect from the television, video games, and devices. During martial arts training they will be physically active and enjoy every minute of it. Get Started Today! Limited Time Web Special (2 Spots Left) Try Our Kyuki-do!